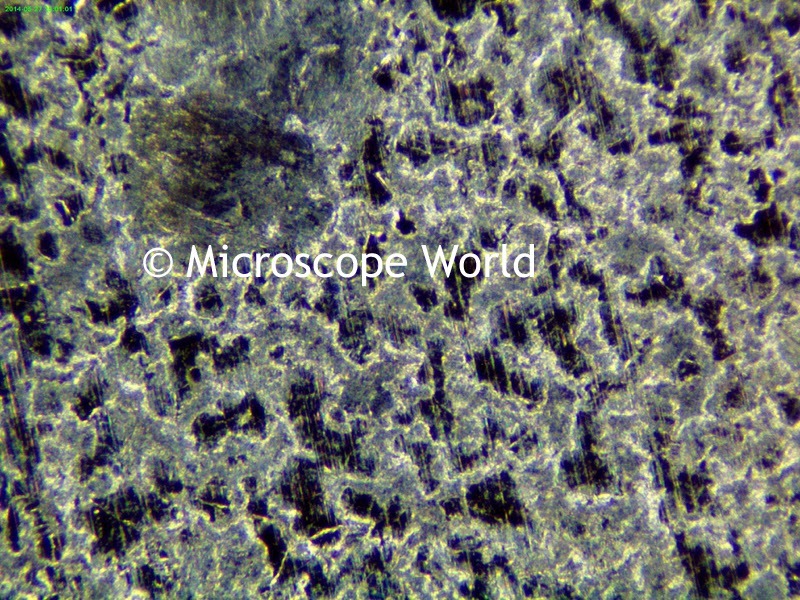 Viewing metal under the microscope at higher magnification requires either a metallurgical microscope or a macro zoom lens microscope system. A metallurgical microscope is quite a bit more expensive than a macro zoom lens system. 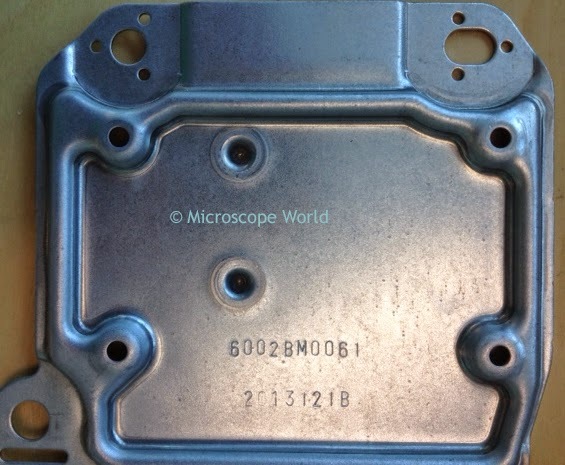 This metal plate needed to be inspected closely for defects. 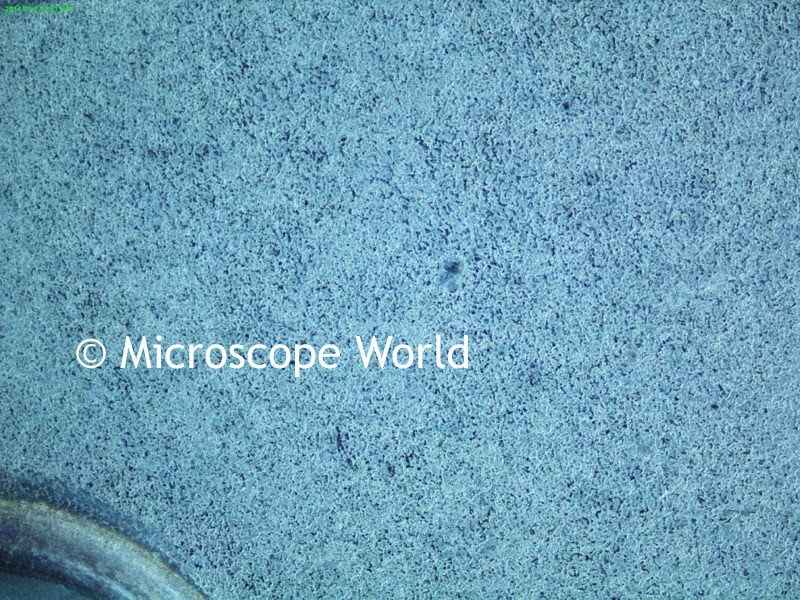 The area inspected under a macro zoom lens microscope was where the "Microscope World" text is located on the image shown above. Metal captured under the microscope at 15x magnification. Metal captured at 160x magnification under microscope. The higher magnification of the zoom lens was required in order to view defects in the metal plate.